There's a secret the Savannah locals know. The very best parts of this old city, the sights that awe you and make a home in your heart, you can only get to them on foot. These old brick lanes and cobbled streets were made for ambling, for pauses, and sighs of surprise - for moments of pure delight. We're proud to be Savannah's premiere family-owned luxury walking tour company. WHAT: Your walking tour covers the history and cultural heritage of Savannah, from the time of her founding in 1733, all the way to more modern times. In addition to a super fun history lesson, your walk with Genteel & Bard is a great way to get a lay of the land right from the start of your time in Savannah. WHERE: We'll begin your tour outside of Collins Quarter Cafe before traveling by some of Savannah's most stunning downtown locations, including The Green-Meldrim House, Colonial Park Cemetery, Jones Street, and many more before concluding in LaFayette Square, just steps from The Cathedral of St. John the Baptist. WHO: Your guide, T.C., is a Savannah historian, author, and classically-trained storyteller, as well as co-owner of Genteel & Bard. TECH: At the start of your tour you’ll be given a small wireless receiver and a set of souvenir earbuds. T.C. speaks into a wireless microphone throughout your tour experience, allowing you to easily hear your guide from up to 200 feet away. On Genteel & Bard's Savannah Walking Tour, experience Savannah's historic stories and see locations that shaped our country. You'll visit some of Savannah's most historic and beautiful squares, famous Jones Street, the Mercer Williams House, Colonial Park Cemetery, and more. Also, you'll enjoy photographs, music, and professionally recorded first account letters written by Savannah notables, such as James Oglethorpe, Juliette Gordon Low, and more. This tour brings the museum experience outdoors - an unforgettable live and guided story-telling production you can't afford to miss. Please Note: This is not a pre-recorded tour. T.C. personally escorts you through Savannah. Our tours are lovingly crafted, hosted by respected Savannah Ambassador & Historical Storyteller, T.C. Michaels. - T.C. will share more than just the facts - he'll share with you stories of Savannah's people. Stories of those who created timelines that effect how each of us live our lives today, throughout the U.S., and even the world. T.C. 's passion for Savannah is apparent with every word. This is more than a tour. This is a walk with a friend. With Genteel & Bard, you'll take away a personal experience of Savannah and it's Southern hospitality that you'll never forget. Genteel & Bard's tours are like a walking, guided, documentary through Savannah's Historic District. Our complimentary earbuds allow our guests to easily hear T.C. (He is mic'd), and enjoy their personal space without feeling closed-in or crammed into a large group . We are the only walking tour company in Savannah that provides this service. Time and time again, our guests share their enjoyment for our technology, citing the ease of taking photos as our receivers work up to 100 feet. Our audio-enhancement cuts through city noise, allows parents to take care of children's needs in private, and assists both foreign guests and the hearing impaired. This is the only walking tour of it's kind in Savannah. Welcome. We're so glad you're here. A SAMPLING OF RECENT REVIEWS . 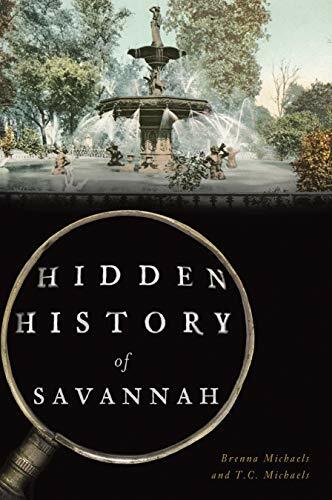 . .
We get a lot of questions about Savannah History - and people seem extra interested in the stories behind the stories, the mysteries, the dramas, the little-known details and intricacies that make Savannah the city she is today. Pulaski answered the call to arms, and was a grand supporter of the American Dream. His specialty was in calvary forces, and he was instrumental in fighting for the importance of, and ultimately establishing, a strong calvary for the Revolutionaries. Oglethorpe was a humanitarian at heart - but he had also seen battle first hand, and knew the importance of protecting his fledgling city from attack at the hands of Spanish forces to the south in Florida. And so, the city was laid out with meticulous intention. Oglethorpe was convinced he could build a city that stood on strong morals - one that could overcome the prejudices and short-comings of Britain. But life in the early colony was hard work, and anything but comfortable. Savannah was the blessed resting place on Sherman’s March to the Sea. The General preserved her on a whim - some say because he was captivated by the city’s transfixing beauty - other say it was because of a lover who made her home here - others say he was tired of pillaging and looking for a comfortable place to rest and let his soldier recuperate in relative peace. They called themselves the Liberty Boys, a group of young men defying the wisdom of their fathers, but rather stepping out on their own with the hope and belief in a new country. Savannah is the site of one of the nation’s largest and most festive St. Patrick’s Day Celebrations in the nation. But not many people know the story of how the Irish culture came to such a foothold in Savannah’s history - or how the impacts of her people shaped the Historic District from the ground up. Savannah has been home to strong women from the very beginning. And while the tides of culture twisted and turned, for better or worse, over the seasons of the nation’s history women have been at the forefront of our most harrowing moments. Let’s talk about life in early Savannah for a moment, shall we? Ask the locals about their personal Savannah Ghost stories (you're tour guide included), and they'll be more than eager to share. There's no escaping the ghosts, and nearly everywhere you walk in Savannah is quite literally a step on someone's final resting place. BOOK NOW and discover why this haunted ghost encounter is different than any other. We're Savannah's only audio-enhanced walking tour - ensuring you can actually hear your live guide up to 100 feet distance.